Master Dog Trainer can solve all your dog training or dog behaviour problems. Home visits 1-2-1 Personal Training, Dog Training Classes. Fast track your skills in Dog Obedience Training. Q.I contacted a few behaviourist recently and found the costs to be from £45.00 up to £500.00. Why does this vary so much? A.Anyone can set up in business as a dog behaviourist. I have found many of them have taken a short internet course of a week or two and have no accredited qualifications. Neither do they have relevant experience dealing with dogs. Look for letters after their name such as ACFBA (Canine and Feline Behaviour Association). This will tell you they have an accredited qualification regarding dog behaviour. Do GOOGLE the letters as they may not be relevant to dog behaviour at all. Ask them if they usually handle the dog and demonstrate their methods to you or do they just give advice (counsel). Usually the more knowledgeable and successful the dog behaviourist is the higher the cost. Beware, the old adage ‘you often get what you pay for’ is usually true. Q.Is a home visit necessary or do I come to you? A.Most dog behaviour problems are in or around the home so a home visit is beneficial. It also allows me to analyse the dogs environment as this may be influencing the unwanted behaviour. Home visits may include taking the dog on it’s usual walk so I can witness any problems in real terms. Q.How long does the visit take and how many visits are needed? A.Home visits are usually around three hours. This will allow a thorough analysis of the problems and and full practical demonstration by me. I also teach you my techniques so you may become confident with continuing any remedial work yourself if required. I can address most dog problems in just one visit, however I do come across some dogs which have very deep seated problems that may need further treatment. This is usually additional one hourly sessions. Q.Do you give additional information or a guarantee after your visit? A.I will give you written information and advice along with a workable program that will assist further with the rehabilitation of your dog. I also provide twelve months follow up advice for any problem related to that dog. There are many variables in treating a dog with unwanted behaviour such as ensuring the cause of the problem is removed. I do find that some dog owners do not always apply 100% of my advice so it cannot be expected to overcome the problem completely. I often find the problems are approximately 40% dog related and 60% human induced. The owner may not of handled the problem correctly or not set out rules and boundaries for the dog from the start. Human logic and reasoning is applied but seldom understood by the dog. B.What areas do you cover? A. I cover Essex Suffolk Norfolk Cambridge Hertfordshire London and may travel further afield if requested. Q.My dog Molly has a very good nature and is generally well behaved at home but when we go for a walk she pulls on the lead. If she sees another dog she barks quite fiercely. I joined a dog obedience class hoping to sort the problem out. As soon as she saw the other dogs she began barking and wouldn’t stop. Instead of getting help or advice from the club I was asked to leave as my dog was causing a distraction. What can I do now? A. Molly’s problem may be fear aggression towards other dogs. This is common with dogs that are not adequately socialised early enough with other dogs. Dog instructors rarely have the skills to address the problem so most clubs are unable to be of help. I have seen many well trained dogs exhibit this aggressive behaviour. Dog to dog aggression is one of the most common problems that I am asked to deal with as a behaviourist. It requires specialist knowledge and skills to analyse the specific cause then bring about a permanent solution. Q.How do I know if I need a dog trainer or a behaviourist? 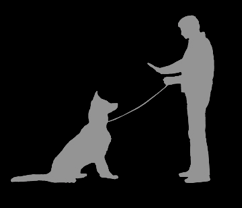 A.If you wish to have someone teach your dog to obey commands such as sit, down, stay, come and walk to heel then choose a Dog Trainer. If you wish to have someone teach you how to carry out the above you need a Dog Instructor. If your dog has a behaviour problem or will not take notice of you, you need a Dog Behaviourist. 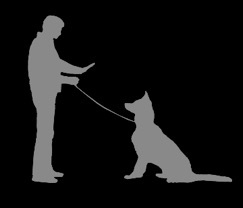 Q.I have tried everything to prevent my dog pulling on the lead but nothing seems to work. It really spoils the enjoyment of our walks , can you help? A.I have an excellent record for rectifying this problem. Book a 1-2-1 session and you can look forward to enjoying your walks together. Q.My dog has not been formerly trained what do you suggest? A.The quickest way forward is to book one to one sessions with me. I will teach you and the dog the basic commands so you have a happy and well behaved dog. Each session is a one hour duration. You may book as many or few as you wish at times that suit you. Q.My dog is reasonably well behaved but pulls on the lead when we go out and does not always come back to me if I let him off the lead. A.I offer one hour sessions to address specific problems such as you describe. This may be general obedience or agility related. Q.I am soon to get a puppy, at what age should I start training it? A. The critical learning period for dogs is between 5 and 18 weeks old. During this period dogs will shape their temperament and character. They should also be socialised with people and other dogs and get acclimatised to their environment. Vets advise not to take puppy out until they get the all clear for their vaccinations. This should not prevent you from carrying your dog in public places (as you would with a baby). The puppy will then be more confident when taken on it’s first walks. Q.I was told dogs over 5 years are too old to train? A.I have successfully trained dogs as old as 10 years. (I would hate to think I would become too old to learn anymore). Q.My dog is obedient but shivers with fear at dog training classes, can anything be done? A.Many of the dogs I have treated with fear, anxiety and nervous behaviours have been successfully integrated into formal classes. Q.My dog attends classes and completes all the exercises except the stay command, could you help? A.Yes I offer 1-2-1 sessions for all dog training problems. Your dog will stay on command by the end of the session. Q.I attend agility classes and my dog will not cross the see-saw! A.I have addressed this problem with dogs before and achieved complete success after a 1-2-1 session. Q.My dog walks to heel during classes but not when we go for his regular walk, Why? A. Your dog has learnt to walk to heel ‘by association’, meaning he must do as trained in classes but ‘as he likes’ during other times. A 1-2-1 session usually cures this problem.